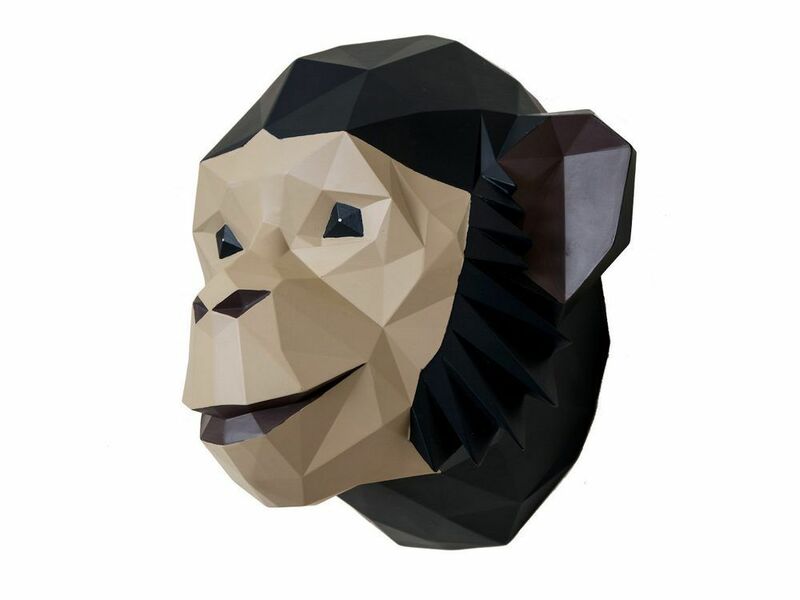 Create an eye-popping focal point in rooms with this unusual abstract monkey head wall hanging. This cartoon-like 3D animal wall art puts a modern twist on animal head wall mounts with its bold colours and cubic style. Made from resin, this decorative monkey hanging has a bearded frilled jawline that brings striking contrast to the design and clean sharp edges. You can create an abstract theme through the home by pairing the monkey with other animals from the same collection.